Jake ‘Cobba’ Stevens will be familiar to many in our RACV Energy Breakthrough community from our wildly popular EBTV video series. But what is less well known is that Jake was previously an RACV EB participant himself. Between school and EBTV he spent a formative time studying Journalism at La Trobe University, a proud partner of the program. RACVEB: Did you always know what you wanted to do? Jake Stevens (JS): It’s been a long journey from school to university to a career that I love. But it’s been a journey that I mapped out years in advance and something I’ve thoughtfully worked towards along the way. Like a lot of high school graduates I had a bit of an idea of what I wanted to do, but didn’t exactly have a plan to get there. That’s where La Trobe University really helped. With the support of a couple of amazing journalism lecturers I followed the steps of studying, self-publishing and working for smaller regional events such as the RACV Energy Breakthrough before I landed a full-time job. RACVEB: What was the role of the RACV EB during your time at school? JS: The Energy Breakthrough had been a big part of my schooling experience at Padua College – I loved it every year! 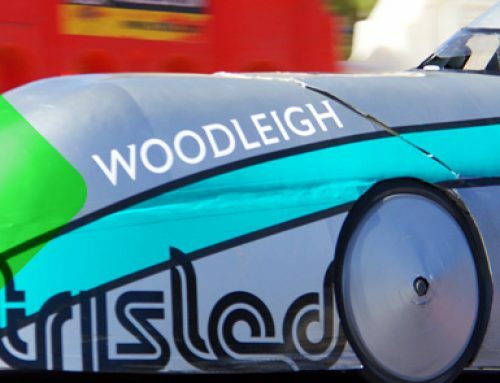 The trip to Maryborough, the challenge of the event and the people made a huge impression on me throughout school. Once I graduated I was keen to volunteer and give back to a program that gave me so much. With the connections I already had at the Energy Breakthrough I was thankful the organisers allowed me to practice and apply my journalism skills at the event. RACVEB: … and then you created EB TV? JS: Yes, before I graduated in 2015 I pitched and was then approved to create EBTV, which began and has continued to be a highlights package of each day’s activity. I wanted to specifically focus on interviewing the people who made the event as successful as it is. I also wanted to capture some of the many untold stories that develop for schools up and down the field – not just the winners. It was a lot of hard work putting it all together, but knowing that I was able to shine a spotlight on the event and it’s participants was worthwhile. Not to mention the applicable everyday journalism and reporting skills I gained from the experience. RACV EB: So after completing Uni, what was it like to try to find work? JS: Going out and working in the real-world can be daunting at first – believe me, I’ve made many mistakes! But with the guidance of La Trobe Uni, I was able to put myself out of my comfort zone and practice what I really wanted to do. Me and a few blokes in lyrca. I think one of the guys said his name was Chris Froome? … and got REALLY up close with the fastest man in the world, Usain Bolt when Nitro arrived in Melbourne in 2017. RACV EB: You mentioned you’re working full-time now, what are you up to? 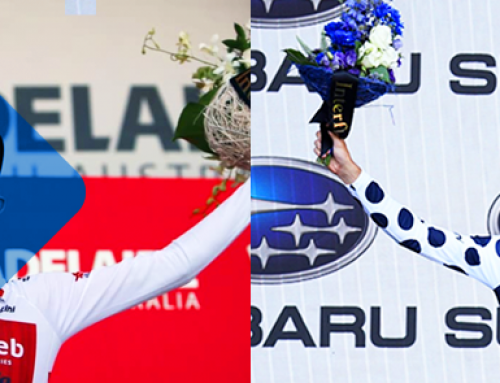 JS: I’ve jumped into a full-time role working with elite athletes with Jump Media & Marketing and it is an absolute privilege. Whether I’m racing behind Usain Bolt at the new track and field series in Melbourne, ‘Nitro Athletics’, or following the peloton and riders such as Chris Froome and Esteban Chaves at the Sun Tour, being able to work under pressure in the exciting and dynamic industry that is sports media is something I really enjoy. Fundamentally, I see a journalist’s priority is to tell an important story. RACV EB: So, what’s next on your journey? JS: I’m looking forward to the next few years of working in the sports media. Nitro Athletics was a hit in Melbourne and I was thrilled to be a part of the media team that bought that coverage to the fans. Next up is the World Athletics Championships which will be huge. We’ve got our largest ever contingent going so I’m really pumped to see how our athletes perform. 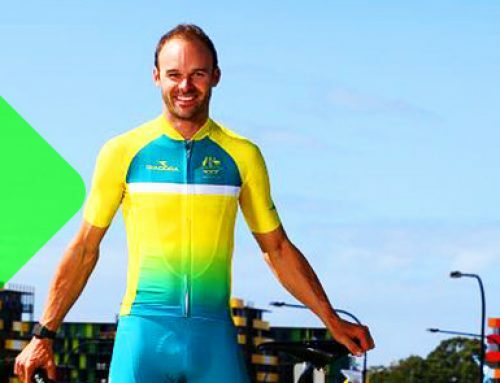 I’m also particularly looking forward to Australia hosting the 2018 Commonwealth Games and being able to help out the Energy Breakthrough where I can. If someone told me 12 months ago that my job would be to follow around the greatest athlete on the planet with my phone for a week, I would have asked them how much I'd have to pay to have the privilege. Honoured to have played a part of a great, hardworking and innovative team that put together the incredible #NitroAthletics and changed the way the world looks at track and field. It was brilliant. 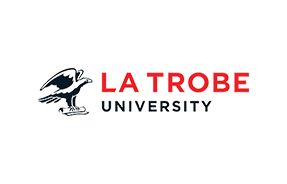 RACV Energy Breakthrough is proud to partner with La Trobe University. Just like Jake ‘Cobba’ Stevens, LTU can help you map out your journey and guide you along it. Great to see 2 guys who once competed now volunteering to keep this great event going . I have raced HPV but never at this event unfortunately but I sure look forward to it each year . Volunteering at this event is a great experience . Wouldn’t miss it . Good work Nigel and Jake . How satisfying is it to help out at an event so many people get so much pleasure from ?